Previously limited to 24 markets, 5G Evolution technologies were recently enabled in 117 markets across the U.S. and Puerto Rico, delivering greatly improved data transfer speeds — up to a theoretical 400 megabits per second — to compatible devices. While not compliant with 3GPP's 5G specification, 5G Evolution combines existing 4G technologies to achieve faster speeds and serves as a stepping stone to full-spec mobile capabilities. 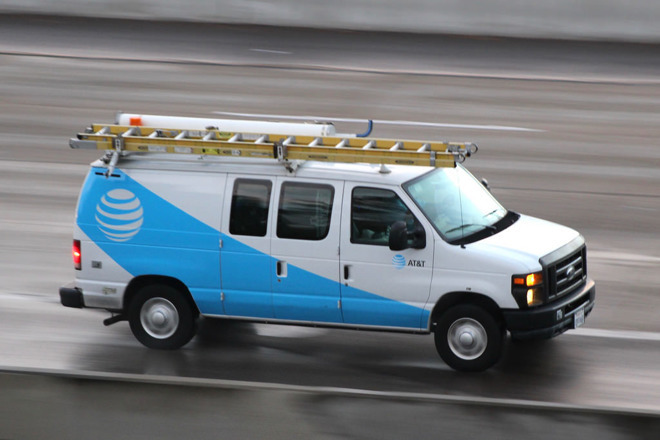 AT&T plans to use the interim protocol's expanding network as a foundation for a true cellular 5G deployment set to begin in 2018. "We're building a 5G network that will fundamentally change the way the world lives and works," said Melissa Arnoldi, president of Technology & Operations at AT&T. "5G will provide a wireless experience that is faster, more responsive and more secure for our customers." The company is looking to enable 5G Evolution in more than 500 markets throughout 2018, including major cities like Baltimore, Cleveland, Denver, Detroit, Las Vegas, New York City, Philadelphia, Seattle and Washington D.C. In addition to the 5G Evolution buildout, AT&T flipped the switch on LTE-LAA in three new markets — Boston, Sacramento and McAllen, Texas — bringing the total number of locales where the speedy communications technology is available up to seven. The company plans to bring LTE-LAA to at least 24 markets this year. AT&T first committed to 5G in January, saying it hopes to be the first major network to support the standard by launching in 12 markets by the end of 2018. Additional metropolitan locations will be added in 2019. Other U.S. carriers are also planning 5G integration, with Sprint and T-Mobile planning network launch dates next year. Market leader Verizon has been evaluating similar network upgrades since 2016 and has promised support for mobile users in the near future. Smartphone makers are likewise preparing to make the jump to 5G. Apple last year filed an application with the Federal Communications Commission to start testing 5G connectivity, though whether the feature will debut with this year's iPhone refresh is unknown. In November, reports suggested the company is working closely with baseband chip supplier Intel on 5G modem solutions. Earlier this year, KGI analyst Ming-Chi Kuo predicted the company would ditch Qualcomm for Intel silicon, potentially the XMM 7560 LTE Advanced Pro chip. Currently, Apple relies on Intel chips for GSM iPhones, while CDMA models use Qualcomm components.